From our team to your door. Our service team builds lasting relationships with our customers, and makes recommendations for your home based on experience. If you call us with a service-related question, we will forward you to our sister company, Haly Home Comfort’s Service Team that specializes in all different kinds of heating and cooling equipment. Our technicians deserve an A+ for their knowledge and reliability. We’re confident you’ll agree. They’ll maintain and repair your propane equipment with the best level of attention possible. 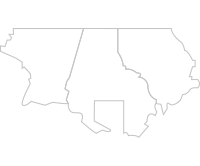 They’ll assess every situation and diagnose every problem carefully and with insight. All in all, you get the quickest and most economical solution possible. Our service team works around the clock for you, because they know the job is never done. Keeping your family warm and protected is a full-time commitment, and we’re happy to be there. Our close-knit family values don’t stop with home service. We happily apply the same principles and commitment to businesses in the area. Our team of service professionals is here to help you out with all your company’s heating needs. Did you know we also supply restaurants? It’s possible that your favorite pizza place or steakhouse relies on Great Valley Propane! If so, we want to lend a hand, too! Great Valley Propane works with many local builders on new construction projects, from a single dwelling to a new development of 200+ homes. For years, we’ve partnered with more-than-reliable brands to get the job done right. Come to Great Valley Propane to ensure that you are working with companies that offer you the best-in-class equipment for all your home propane needs. And rest assured that the install or removal will be done flawlessly by our certified propane crew. Give us a call if you are interested in scheduling an installation or removal, or even if you are just thinking about it. We can help answer any questions you might have, so you will feel confident in your decision. 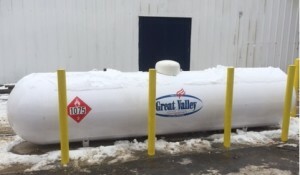 Great Valley Propane offers aboveground and underground tank installations. If you use propane for a few options, or even plan to increase your usage, an underground plan might be right for you. Our experts will take a look around your property to help you come up with an informed decision. They’ll see through the entire project, from start to finish. A good propane tank should last 10-20 years. When the time comes, our team will be there to safely and completely remove your current tank and replace it with a new one. But don’t want until the cold creeps in—call us to schedule an appointment ahead of the game. Making the switch makes sense. Did you know? Every time you replace an electric appliance with propane one, you could save at least 50% on the energy you use to run it. We mean it when we say switching to propane makes perfect sense. Propane is more affordable, better for the environment, and easier to install. Not to mention, it’s well suited for many needs and 100% non-toxic.